The sun has gone through its degrees, the moon through its conjunctions, the stars returned to their stems. The year will soon begin again. 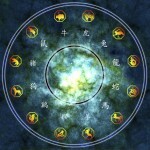 The year of the Yang Fire Monkey – Bing Shen arrives on this first day of spring in the Chinese solar calendar. As the name implies, 2016’s ‘Monkey on the Mountain’ promises a visible shift from 2015’s ‘Contemplative Sheep.’ The Chinese astrological Monkey represents the qualities of agility, intelligence and individualism that are capable of contradicting everything you thought you knew with a healthy dose of humor and charm. 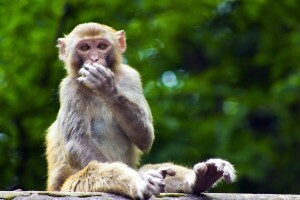 A shrewd and inquisitive problem-solver, the Monkey thinks and moves quickly with actions (and outcomes) that define the word ‘unexpected.’ The ninth sign of the zodiac, this cerebral and seemingly chaotic Monkey is linked to the W/SW compass direction, the month of August and the late afternoon hours of 3 -5 pm. Imagine the last gasp of blazing sun energy before the sun sets in the evening or the heat of late summer and you will have insight into the temperament of the coming year. The Monkey is energetic and enterprising, always preferring the challenge of debate to acquiescence and independent action to teamwork. This entrepreneurial energy favors power shifts, progress and the potential to bring new and innovative ideas to the world stage. The warm and optimistic mountain Monkey cares not for traditional ways and has enough curiosity, resourcefulness and courage to explore an entirely new uncharted course. He is here to remind us that our world is about to change. In the cycle of the Five Elements the Monkey is associated with Metal and all that is skilled, sharp, focused and uncompromising. This bodes well for scientific, engineering and technology fields in 2016 with stunning advances anticipated in those industries. Dexterity and craftsmanship will also be rewarded in a Monkey year so cultivate and advertise them if you possess those skills. But this year, the Monkey’s Metal energy also combines with the heat of summer’s red Yang Fire, revealing all the passion engendered in that season of raw excitement and excess. Fire energy is expected to bring enough brilliance and enthusiasm to fuel economic markets this year, but the road will not be a smooth one. Communications, transportation, entertainment and property industries stand to benefit from Fire energy as well. But a lack of Water in the chart of the year indicates an imbalance of elements – void of the calm, passive, emotional energy necessary to soothe excess Fire. Since Fire predominates in 2016 and controls (melts) Metal, we can expect significant clashes in personal, business, financial and political arenas. Last year’s Wood Sheep grazed predictably close to the earth but the arboreal Fire Monkey dwells in treetops and is adept at changing speed and direction when winds shift or life gets boring. For this reason it will be important to greet each day refreshed and ready for just about anything. The clever Monkey is an opportunist who likes living on the edge, so brace yourself for a much faster pace and learn to recognize potential opponents before they are upon you. Danger and opportunity go hand in hand for this simian and it will be important to assess risks carefully before jumping in. The cheerful Monkey is mainly concerned with outwitting the competition by maneuvering around situations and devising unconventional if not cunning solutions to problems, so be alert and keep your eyes open. Adaptability will serve you well in 2016. The Fire Monkey is a gifted communicator who values honest discussion and lively debate, so expect to hear a variety of ‘right’ opinions in 2016 and be prepared to defend your own positions with facts. There will be a test at the end. Restless and impatient, the Monkey will test your strength and determination with his unpredictable behavior and dramatic exploits. He’ll likely pull you off course and out of your comfort zone to show you another better, faster, cheaper way to do things. You may want to listen because as uncomfortable as it seems, these are also the lessons he will teach the humble among us who tend to doubt our own capabilities and dreams. If you would like to learn more about what this year holds for you, your family or business and how to take advantage of the Fire Monkey’s gifts, drop me a note to schedule time.